Has your creative team ever produced a video that you thought: “this is too good not to share outside of our church?” Leadership Network is giving churches an opportunity to do just that (and perhaps win some $ too)! Coming May 19 (at 1 pm EST), Leadership Network has partnered with Thrivent to present an online film festival featuring short videos on the topic of generosity – the giving of money, time, assistance – however people have shared with others. 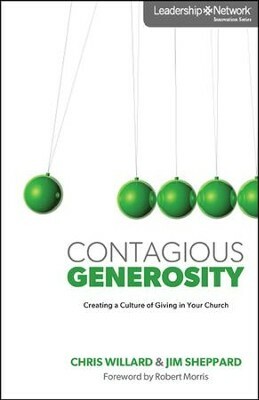 This will be a great opportunity for churches to see what others are doing to encourage generosity among their people. There will be prizes totaling $5,000 for the best video submissions and they must be uploaded by March 20. Please contact Todd Rhoades at todd.rhoades@leadnet.org for more information. Next How Much Younger Should Your Next Pastor Be?